Well if you’ve been paying attention you’ve probably noticed I didn’t even make one post in the month of December. That’s mainly because I hardly did any flying in the month of December. If you live anywhere close to the Midwest, you probably know that it was one of the worst flying months you can have. Ice storms about every week, freezing levels at the surface, and low ceilings plagued us all month long. Fun stuff. Therefore I was left with no inspiration of anything to write about. Sure I could pick up my books and pick out one of 300 topics to write about, but I like to provide commentary on topics that go somewhat “outside the books.” When you don’t fly you don’t have those inspirations. I did however think that it would be nice to post a list of online resources that I use often to help out my fellow aviators. Here goes. Airnav.com – Basically this is like an online version of the Airport/Facility Directory, but it has much more information. I use it to look up airport and FBO information. If you are staying overnight, it provides hotel and rental car information as well. 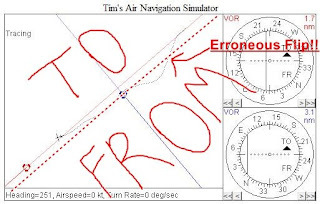 Skyvector.com – An awesome website that allows you to look at navigation charts online. 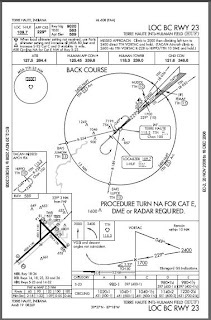 Use it if you don’t have Sectional or L-Chart where you’re going, and need to check out airspace information. 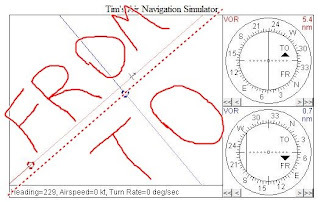 However, always be sure you posses the current navigation charts with you in the cockpit, wherever you go. ADDS Aviation Digital Data Service – This is the website of NOAA and the National Weather Service that provides weather information relative to pilots. Great resource that is free to everyone. I get my METARs, TAFs, radar/satellite, and all other WX information there. It’s basically like a WSI system that you can access from anywhere. 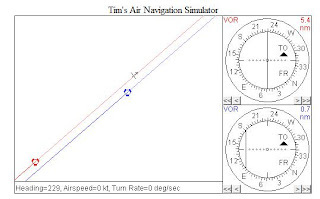 Tim’s Air Navigation Simulator – Although I’ve already posted about Tim’s Air Navigation Simulator, I thought I’d mention it again here. It is an awesome tool that I use and recommend to all of my instrument students. 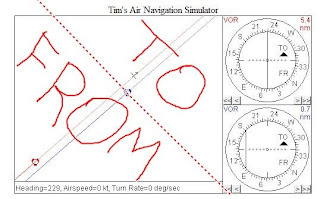 You can practice basic navigation skills, simulated approaches, holds, etc. Those are the main flight resources I use while conducting the everyday duties of a CFI. If I think of anymore I’ll let you all know. More posts coming soon. Talk to you later.